So there is a dude that goes by the name of Hannibal For King (the Humble Android) that might be one of the craziest body weight calisthenics experts alive. Some of his body weight exercises are extremely intense. For example, he can do a straight arm flag pole off of a gate, hanging ab flutters and a ton of other insane body weight moves. I’ve been following him for awhile now and decided to write a post about him and share some videos. I’ve been trying to dig up information on his background but am having a difficult time. Can’t find his real name though I found he lives on the South Side of Queens and his occupation is a Personal Trainer and Calisthenics Expert. Bodyweightculture.com also seemed to have reached out to him to endorse one of their products: the U.S.A. (the Universal Strength and Power Apparatus). I have a bunch of Hannibal For King Body Weight Videos below that are truly insane. I found this guy that goes by “White Hannibal For King”. He is intense too. Not quite as bad as the original Hannibal For King but still tough as nails. Greetings I have to ask this does Hannibal for King use Steroids. I followed professional body building for a while when I found out they all use Steroids I felt very deceived. I gave away my Video’s and turned my back on them. I think it is a legitimate question to ask. That’s a great question and I definitely don’t have the answer. I know the guy is huge but I also did know body builders that weren’t using steroids. Bodybuilding is a science and those that resort to steroids are only destroying their long term health in trade for short term gains. Sadly, there are many that do this. That’s cool. Yeah lifting heavy weights will definitely do it. I just got a weight vest and have incorporated it into my training and it is bringing my training to a whole new level. I would bet that Hannibal and other body weight experts do use weights as well. It’s good to mix it up so your body will continue to be stimulated to grow. Having been a watcher of Hannibal for a few months now, I’m confident he does not use weights. He says so directly in several of his videos. For example this one at 5:53. Unless Hannibal is lying, he’s very clear that he doesn’t workout with weights, ever. I was definitely a skeptic that I could get what I wanted from my workouts without weights but I believe its possible now. The main difference, I think, is that different amounts of weight mean different exercises in bodyweight. Its not like dumbbell curls where you can do the same exercise at 10 lbs or at 80lbs. 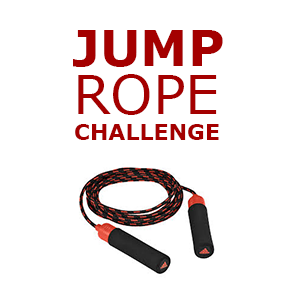 Bodyweight exercises have upper and lower bounds what is possible. 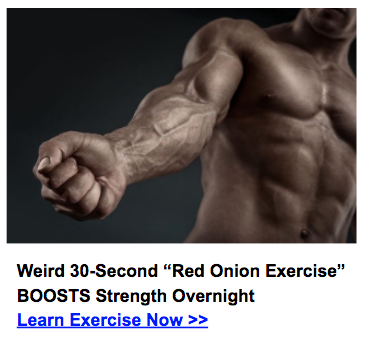 Take pectorals for example. You can only make normal pushups so hard, before you have to learn to planche in order to sit more of your bodyweight over your arms. But for most people, they can’t start on a “low weight planche” It becomes a very different exercise, even on the same muscle. Anyway, with some creativity and originality with your leverage, I’m confident Hannibal and any of us can do what we want to do without any weights, ever. Yeah you have a great point. That’s one of the reasons why I love body weight exercises so much. There are so many variations and ways of making the exercises more difficult without adding weight. I watched the video and you’re right. He says he doesn’t use weight. I know Denis Minin uses a weight vest and ankle weights in his routines too. Thanks for the comment. Very helpful. Hi Malik, like Daniel I have been following Hannibal for King for several months now an he is very specific against using weights. Whilst it is easy to question this (and none of us can be 100% sure that he doesnt), the ethos around calisthenics is it is a lifestyle choice not just a way to get fit. I have been practising calisthenics for a year now and it is extremely addictive, everyone I have met through it have been the same as me; we all see it as a healthy alternative to the gym monkey culture. It is about living clean, eating clean and pushing yourself beyond your limits. Sounds too good to be true, right? Well no actually, its all about a choice you make within yourself to commit to progress, earnt and proven progress through daily testing of yourself. I have improved hugely and can say my body has changed enormously due to calisthenics. Hannibal for King has been involved for over 18 years and I truly believe his results are all natural. Put simply the guy is a machine. If you want to look more into calisthenics check out Bar Brothers, Frank Medrano (who uses some weights but is a vegan athlete), street workout etc. Great Article about Hannibal, when I saw him on youtube I was amazed by his physical abilities. I myself been doing calisthenics and bar work for the past 3 years and find it extremely difficult to replicate some of his movements, definitely an inspiration and motivation to keep going for me. I found another article about him on the web ( http://hannibalforking.com/?p=202 ) I think he got a website going. Really enjoy your blog. Glad you like the site. Yeah, Hannibal is crazy intense. I found him on YouTube as well and was blown away. Been following him ever since and trying to replicate his moves though I am a far way off. Where do you typically do your bar work? At a park? I’ve been contemplating building my own home setup using bars so I can practice a bunch of calisthenic moves. Some calisthenics people take supplements and others don’t. I take a multivitamin and supplement with Vit D in the winter but thats it. So, how long do you work out? Who has time for long sessions? Can a super intense routie with a rock hard body be accomplished in 15 minutes? I typically work out about 20-30 minutes a day 4X per wekk. 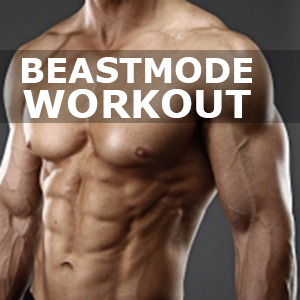 Yes you can create a super intense workout routine in 15 minutes. Check out some of the stuff online about Tabata training and HIIT. Both of these (Tabata is actually a style of HIIT) give you very little rest and incorporate intense exercises, plyometrics, etc. Let me know if you need help tailoring something to your specific goals. You’ll find that the ‘white Hannibal’ is at least as good as ‘Hannibal for king’, i believe him to be way stronger still, he wears an additional 25kg weight vest for starters, and does shoulder exercises on the bars that I haven’t even seen Hannibal do. You may want to research him a little more, he is a Ukranian citizen named Denis Minin. Contrary to Hannibal he does eat clean, and he organizes contests for calisthenic workouts. in their respective communities both these guys are huge. Just did some google searches on the guy and am very impressed! Looks like this is his official site: http://street-workout.org/index.php/ru/ and here’s his facebook page: http://www.facebook.com/STREETWORKOUTUKRAINE. I think I may try to reach out to him. Not sure if he knows English. Would be great to profile him. Thanks for the information Patrick! Glad to see other people interested in calisthenics, feel free to look me and my community up on Facebook. Great site first of all. I was and still am, a little sceptical about just using the body weight itself to attain the bodies of Hannibal and the rest, yours included my friend. 🙂 You mentioned to Mark ( post dated June 20th ) that you would help devise a routine for him. I need one badly. I am in the Philippines at the moment. Let me know any info you would like to know of me and my lifestyle. Email me at Thayalan.Muthu@westernunion.com please. Thanking you in advance Todd. Have a great one. You have a great one too! I love your blog so much and I see you talk about Body-Weight Training . Perhaps you will like these videos and share it on your blog. Our website is http://Www.Barstarzz.com we have a blog that you can find on the home page. Thank you and have a great day. .. I am a huge fan of Barstarzz and happy to promote your stuff to my audience. Let me know if there are any other partnerships you want to work on. Hannibal doesn’t use weights, and eats what he wants. The junk food helps motivate him to get back out there and burn it off. He works out multiple times per day for two hour sessions. He also doesn’t use roids or any of those shortcuts that body builders and pro athletes use..I.e. he doesn’t cheat like they do. He has been at it for nearly two decades. Take a look at the guy and you will see there is no substitute for hard work and time put in. 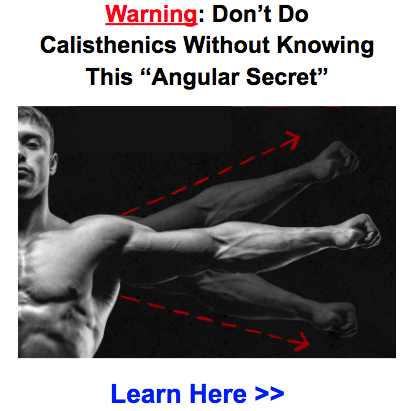 He also says that the results of calesthenics last longer and your body adapts to it that is why he is able to work out every day, even the same muscle groups. I believe it will take longer to get results but the results are better in the long run if you keep at it. I have lost all respect for pro athletes especially baseball and football players because the vast majority are juicers. Same for body builders. So Hannibal has all my respect, he is all natural and the result of hard work. that’s right. I saw that on an interview of Hannibal too. He is awesome. I do believe he would be even better if he followed a solid nutrition plan but he is an inspiration to me so I won’t try to take anything away from him. Thanks Tony! This is great! It’s hard to see Hannibal building models but that’s pretty cool. Appreciate the link! Hey I was wondering, do you know the workouts that Hannibal does to get so strong?? Because I believe he has a lot of different workouts but I can’t find a place where he lists all his workouts that he uses. I’m also looking for the workouts that the white hannibal does also if you could provide me with information about that. Hannibal Lanhan is his birth name. Hi JF, interesting. Do you have a source for this info? In the body of the profile, it has some background on him too. Awesome site J.F.! Thanks for posting! how often go hannibal to training? and how long is a training? I believe in one of the videos I watched he said he trains for 2-3 hours a day every day. Hit Richards trains for even longer. Slightly related question (white Hannibal is wearing one), I want to add a weigh vest to tran with, have you got any recommendations? Love the info, thanks for running the site. I want to keep it real simple. That being said what type of routine and how many days with just these. First, I want to let you know that I’m a huge fan of yours! Second, Hannibal for King’s real name is Khaled M. Rifai.